Have you ever lost your android smartphone without having the tracking app installed? With the increasing smartphone users, losing a phone has become a normal thing. Everyone loses their phone sometimes and smartphone theft is also becoming widespread so much that you could actually buy an insurance policy for your phone. When you suddenly lose your phone, sometimes it becomes hard to take the right steps to find your device quickly. How can you find a lost device if it is not responding to your phone calls? If you are an Android user, there are a handful of phone tracking or anti-theft apps on Google play store, which can be a lifesaver in case you lose your phone or even worse if it gets stolen. 1. Try remembering where it was that you last used your phone and search the place quickly. 2. Start calling to your lost phone with another device if it is not switched off yet. 3. Inform all your contacts that your phone is lost. 4. Use the “log out of all devices” features on social media apps that you’ve installed on your phone. 5. Contact the nearest police station in case they found it. Find My Device – is the new and improved Android Device Manager. Find My Device helps you easily locate a lost Android device, and keeps your information safe and sound while you look. Locate your phone, tablet or watch. Misplaced your Android Wear device? No problem. Play a sound. Find My Device helps you track down your device when it’s close by. Lost Android app allows you to remotely control your android phone from the https://androidlost.com or by SMS. Lost Android is an app that lets you remote control your phone from lostandroid.com website. Its very useful and even can be a lifesaver in case you put your mobile on silent and leaves it somewhere or even worst if it is lost. Never lose your phone again with the original Where’s my droid app. Where’s my droid! The first find your phone app on the Android Market continues to get better and better. Now with more features, it is easier than ever to track down your lost phone. 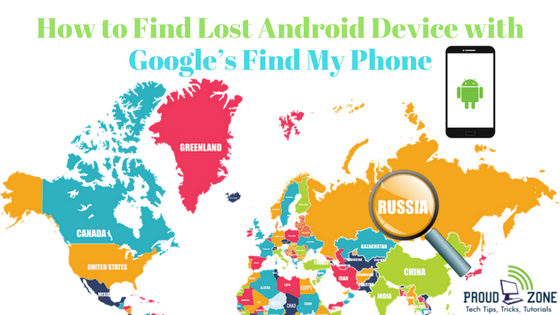 Can’t find your iPhone or Android phone? Use Find My Phone to get it back fast! Find My iPhone & Android Phone is the essential tracking tool for anyone who has experienced the stress, worry, and inconvenience associated with a lost or stolen device. What’s more, it’s free for the iPhone, and Android! Tracking your iPhone & Android has never been easier. Using this state-of-the-art GPS tracker, you can instantly: Find a lost, stolen or missing device whether it belongs to you, your spouse or your child. You can even track & locate Android tablets, or an iPad. TrackView turns your smartphones, tablets and PCs into a connected mobile video surveillance & monitoring system with location tracking, event detection, alert and cloud/route recording capabilities. 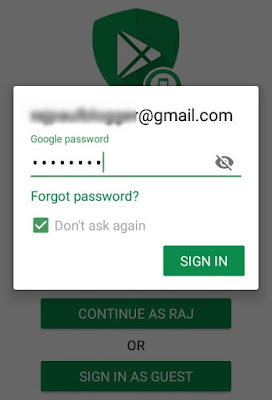 In this post, I will teach you to locate your lost device using guest login method in ADM – Android Device Manager or Find My Device app. Note: Please always turn on “Location Feature” of your Android device or otherwise tracking apps will not work. 1. First of all, you need to download ADM app from here, install it & open it. 2. After opening the app you will see 2 options in the main menu, click on ‘sign in as Guest’. 3. Now fill your friend’s email address & password and click on sign in. 4. Now you’re all done! Now here you will get the live location of your Android phone or if it’s already switched off then you will get the last location too. You can play loud sound on your phone remotely by your friend’s phone, even you lock and erase all your important data if you wish! By using the above-mentioned tracking apps you can easily locate your lost or stolen Android phone. These finding phone apps are totally free to download which is less then 5MBb max. So, what are you waiting for? install this important apps today to get back your smartphone in case you lose it. Thank you for reading this post. If you found this post useful, let me know in the comments section and also forget to share it with your friends & family members.